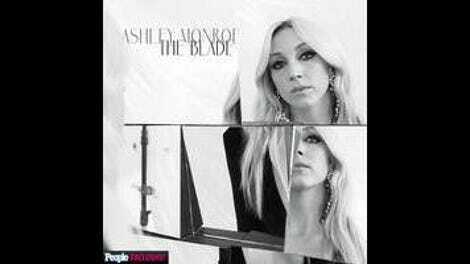 The first cut on Ashley Monroe’s The Blade is far from its deepest: The poppy opener “On To Something Good” serves as a fleeting note of tentative optimism for everything that follows to reverberate out and away from. The majority of Monroe’s superb third album hunkers down with heartache and struggle. The slow-burn title track reveals itself as this set’s true stunner, offering a powerful metaphor for the damage done by a failed relationship. The song turns the knife with a series of almost resigned direct turns of phrase: “For you it’s over, for me it’s not / I kept trying, and you just stopped.” It’s the only song here Monroe didn’t have a hand in writing, but still reflects her plainspoken emotional truths. The degrees of growth between Monroe’s 2012 breakthrough Like A Rose and The Blade are negligible on the surface. Vince Gill’s production on the new album is a note-perfect compromise between contemporary and classic country, whereas those lines were occasionally drawn thicker and more deliberately on the earlier effort. The greatest departure is a maturity that sees little use for the country trend of the moment. “Bombshell” tip-toes between quotidian moments and observations as its narrator stalls the inevitable until momentous guitars, the thud of a kick, and whining pedal end the repression: “I can’t love you anymore.” The stunning centerpieces “From Time To Time” and “If Love Was Fair” explore the hopes and disillusions of love in tandem and recall the lush expanse of Emmylou Harris’ Wrecking Ball. Even when Monroe’s more classicist impulses find her reaching back toward the rolling barroom piano of “Winning Streak” or the old-fashioned country-and-Western affectations of “Dixie,” it always feels of a piece with the rest of the album. The Blade also has its discreet agendas; it’s feminist not for turning a shotgun on its adversaries but for Monroe herself owning their favorite vices. The narrator of “If The Devil Don’t Want Me” moans, “There ain’t enough whiskey,” while the one on “I’m Good At Leavin’” brushes off some “I do’s” in favor of “honky tonks and bars.” On an album full of piercing gestures, the tact of finding feminine agency by identifying with folly might just be its most effective.